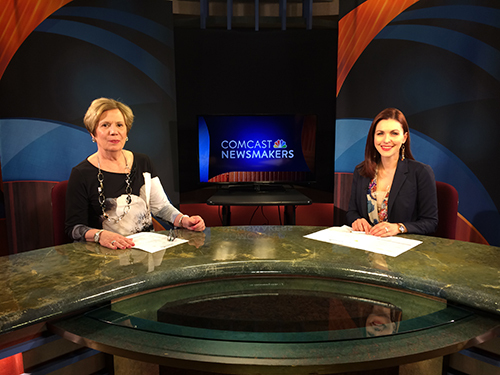 Chamber President, Karen Marsdale, talks about the Berks Family Business Alliance where owners share problems and experiences on Comcast Newsmakers. 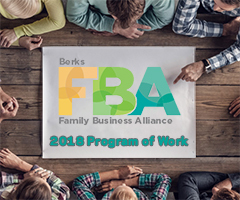 The Berks Family Business Alliance, founded by the Greater Reading Chamber of Commerce & Industry, is a leading resource in Berks County serving family owned and operated businesses of all sizes. There are no fees for membership - our programming model is low cost or no cost thanks to our generous sponsors and the vast resources available through the Chamber. The Berks Family Business Alliance provides diverse programming and numerous interactive opportunities to local businesses. In addition to a full slate of professionally facilitated programs on traditional business topics, we explore the unique challenges that are faced by family business owners and their employees. Membership is open to all Berks County family-owned businesses, and their employees! It’s very easy to join. All you have to do is send an email with your name and business or organization to FBA@GreaterReadingChamber.org. For more information please contact Rachael Romig, Special Programs Coordinator, at 610.898.7775.